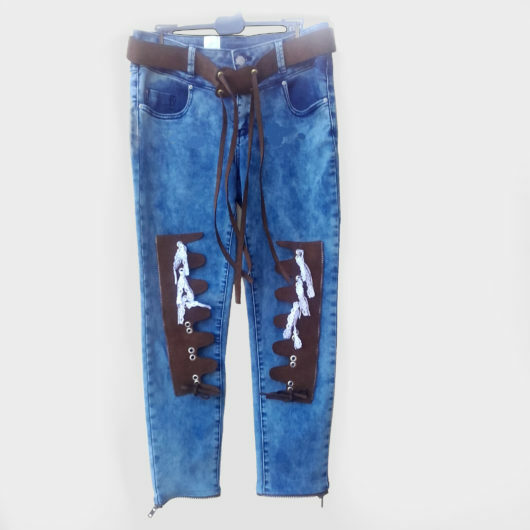 Western Girl Jeans trousers, Lys Majesty. Beautiful 2 in 1 trousers, several possibilities and several styles, depending on the mood of the day, which is offered to you Ladies! 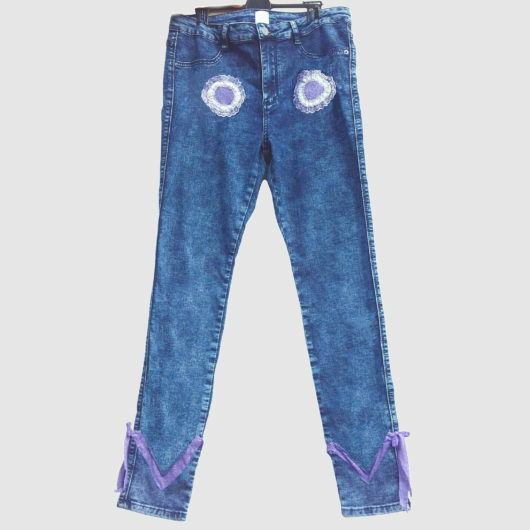 High-waisted jeans, with multi-colored fabric on each side of the trousers, with opening on each side, with golden eyelets embedded in them. Velvet brown tape to lace up each side. Below, along the leg of the decorations in cloth of several colors, encrusted in the jeans in round shapes, 3, embroidered with thread of several bright colors on these 3 rounds inlaid, can be added to wish, petals in imitation suede, of very good quality, all along each side of the leg, making a very pretty and refined jeans. These petals are attached to the jeans with snaps. One can thus, alternate the styles, between a psychedelic style and a style of film of Western. Nirvana-2 (Caméléon ) Jeans, Limited Product !